Watch to learn how to create a Natural Hair Regimen for your kids depending on their age and hair needs. 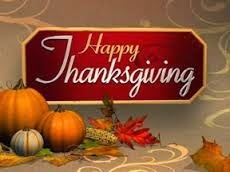 Happy Thanksgiving to you all. We have so much to be thankful for this year. Not only are we all in good health, we have been blessed with the knowledge and support of you all. Our prayers is for the joy of Thanksgiving be enriched in your spirit daily. I am SO excited to share this announcement with you all! Can't believe it's been 2 years already since I did the big chop. Wondering how long my hair is? Have you ever had an impromptu party invite? 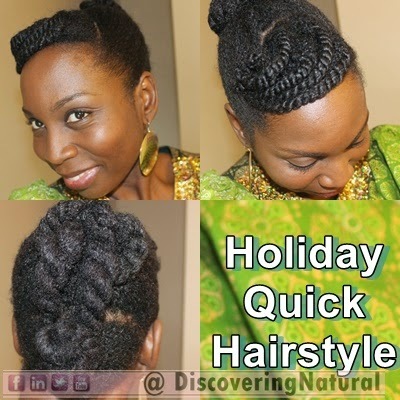 Watch as I create this quick elegant updo for a Holiday party. I will be using SheaMoisture products and giving you tips on how to combine different products in different lines. 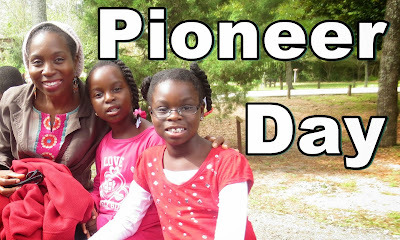 Each year, we take the girls to the park for Pioneer Day. 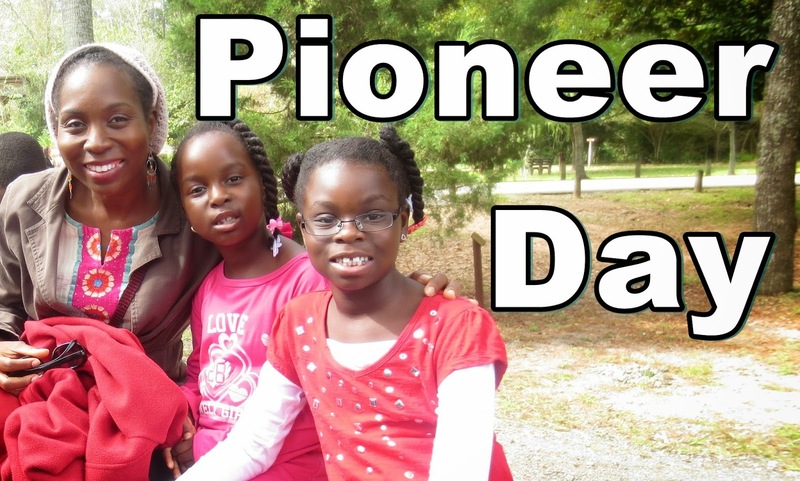 Pioneer Day is a day that "celebrates the bravery of the original settlers and their strength of character and physical endurance". 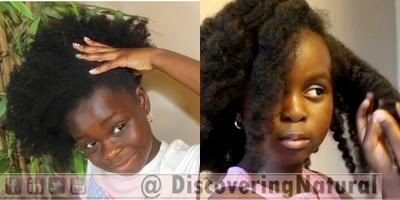 I started by doing my regular pre-poo and detangling using Extra Virgin Coconut Oil and V05 strengthening conditioner. I noticed less seasonal shedding this time. Last week, due to the advice of my Doctor, I started taking iron supplement because of my low hemoglobin count; I'm anemic, always have been all my life. Detangled...put my hair in twists... covered with plastic cap and Tshirt for 2 hours instead of overnight. Rinse and massage scalp under lukewarm water. That felt so good!! Applied my sulfate free shampoo (Elasta QP Crème Conditioning) on my scalp, rinse, and applied Eden Bodyworks Cowash conditioner as my leave in and also hair cleanser. Leave that for about 2 mins while I tend to myself. LOL! Saturated hair with black tea and the SheaMoisture Manuka Honey & Mafura Oil Intensive Hydration Hair Masque. Cover for 1 hr. Roller setting my natural hair is not something I look forward, however, one of my followers on Facebook asked me to do it. So I did. LOL! The things I do for you guys. 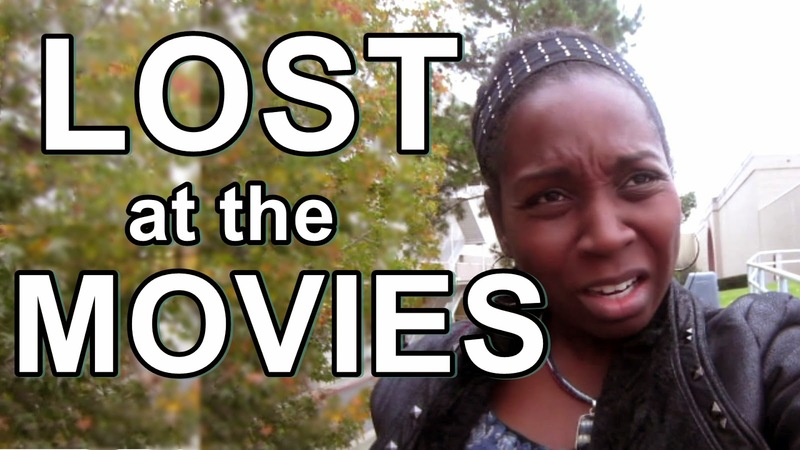 Anyways... hope you enjoy the video. What else would you like me to try? Knowing when to trim CAN be very confusing. This year, my plan was to have scheduled trimming, but after 6 months of doing trims every 3 months, I felt that my hair did not need too much trimming. Here is my advice, and what I do with my hair that helps. I go by how my ends feel and look. I feel that if you take good care of your ends you do not need to trim often. 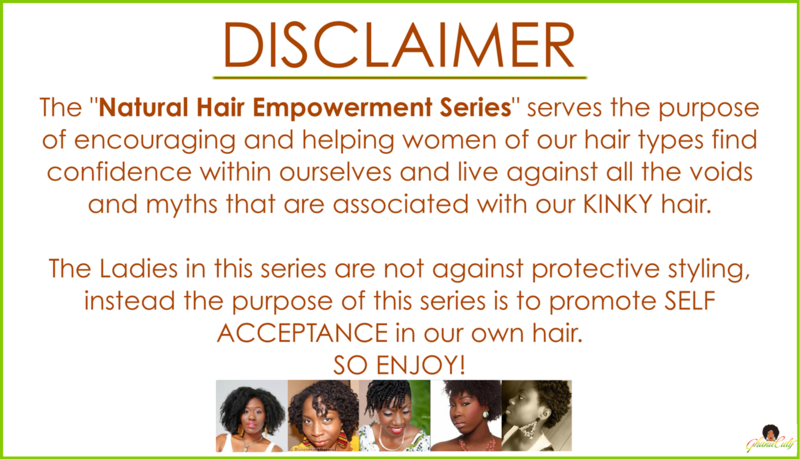 However, if you feel that your ends are not as healthy as they should be, then trimming will be the way to go. Getting your hair stronger and shinier does not have anything to do with trims, but it does have to do with incorporating protein treatment and using products that have protein to help improve the strength of your hair, and making sure that your hair is properly cleansed to bring out the shine and luster. Clarifying your hair at least once a month helps with promoting shine. 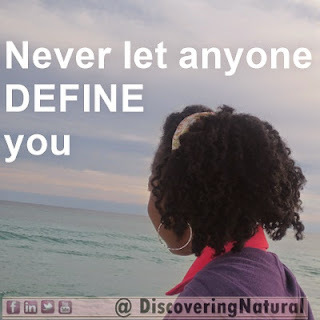 Also, when you do not have product buildup or use products that sit on your hair strands. When it comes to who should trim your hair, it depends on your confidence on whether you can do a great job at it or what to leave it to the professional. As long as you don't have a "scissors-happy" stylist, you should be ok. The girls have finally joined the Starbucks club!! LOL! 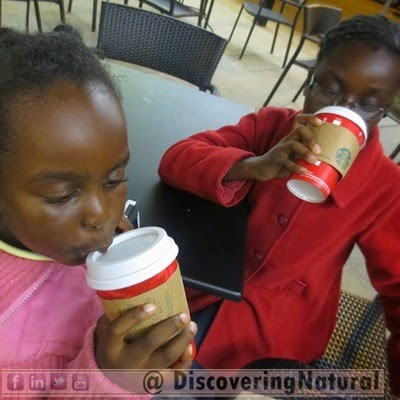 Today's ‪‎vlog‬ is so packed full of adventure and the best is hearing what they thought of their experience at ‪Starbucks‬. 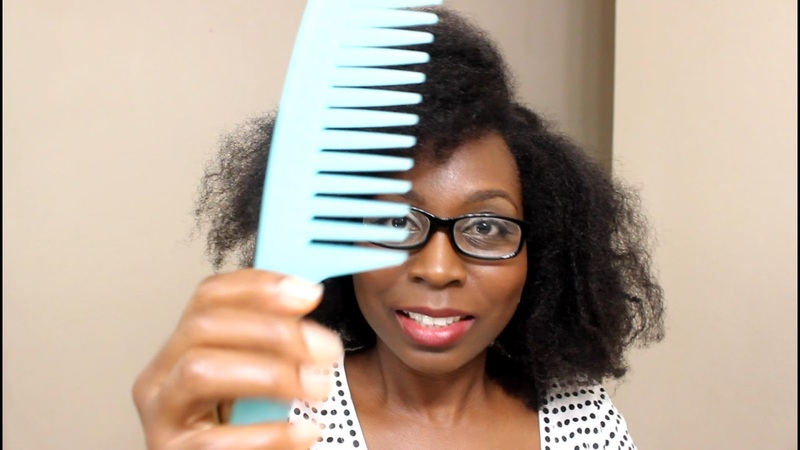 Do you really know how to properly comb your natural hair without causing breakage? 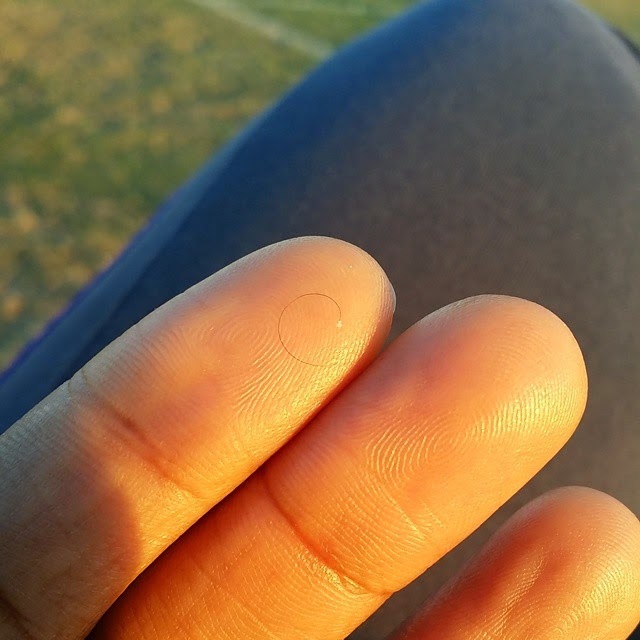 Before I learnt how to properly comb my hair, I felt that seeing hair in my comb was normal. Why? Well, as a child, that was what I remembered. I have since discovered that this is not true. You do not have to see hair on your comb, with the exception of shedded hair. Here is what a shedded hair looks like. Notice the white bulb at the end of the hair. That is hair that has reached the end of its life span. Watch how I comb my hair. 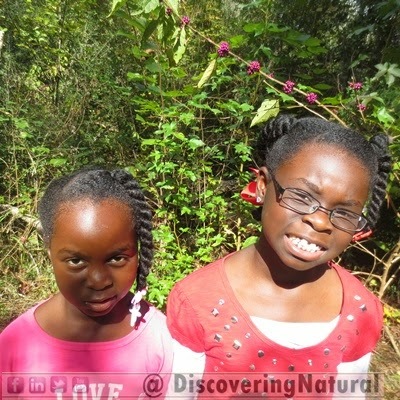 Even if you are not a stay at home mom/dad, the tips I will sharing will be very useful. These tips have helped me since I became a mother 10 years ago. 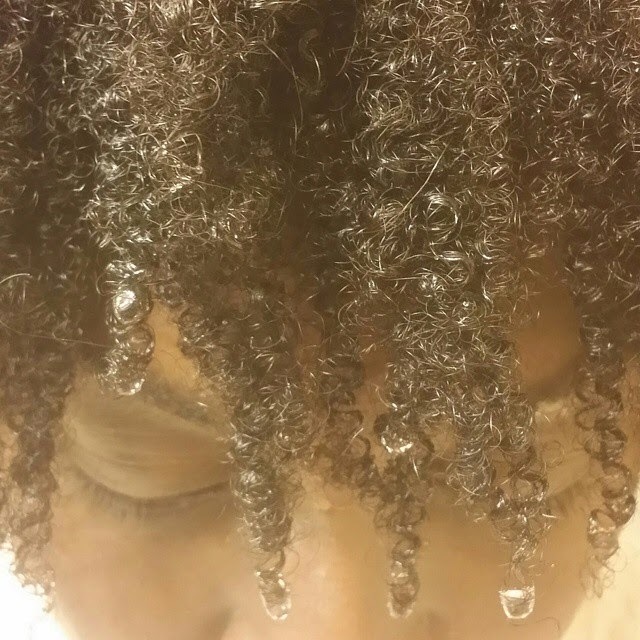 After 2 weeks of protective styling, it was time to wash my hair, especially my scalp. My scalp is always my #1 indicator that it is time to wash. I did enjoy skipping one week of wash day.. to be honest with y'all! I was quite happy that the style lasted long with my modified moisturizing and method of keeping the frizz away. Started on Friday by doing a detangling and pre-poo overnight with my usual mix, Extra Virgin Coconut oil and V05 Strengthening conditioner. 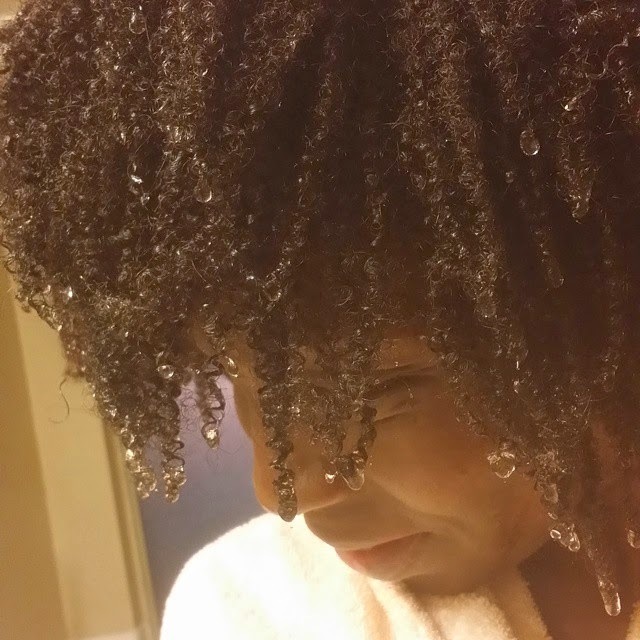 The next morning, I rinsed off the pre-poo, applied Aubrey Organics GPB conditioner for a light protein treatment. 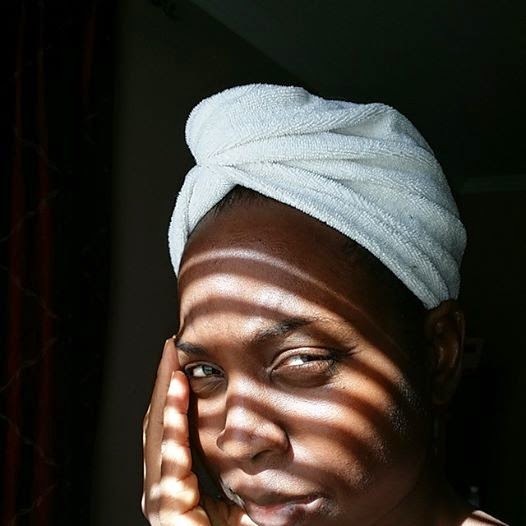 Next, used diluted Elasta QP Crème Conditioning Shampoo to wash my scalp and hair, and followed that up with a Black Tea Rinse and toped that off with SheaMoisture Intensive Hydration Hair Masque... which I LOVE!! Left that in for 30 mins. I just love it when my hair is clean!! The curls Be POPPING! - Used the SheaMoisture Curl Enhancing Smoothie as my styler. I have not used this in a long time. 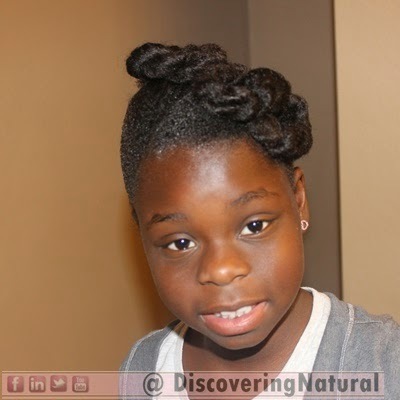 I did my hair in medium size twists. 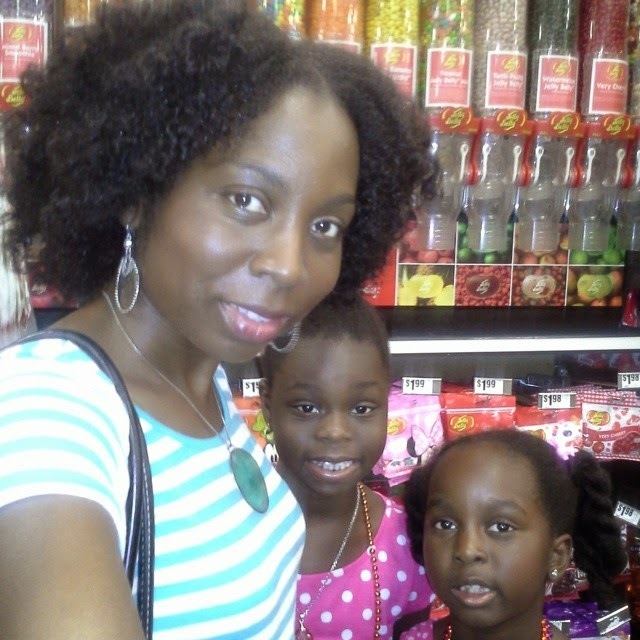 Sidenote: 2 days after this wash day, I unraveled and my twistouts was a mess!! Since I was running late, I just put it in this updo.. I think my hair does better with chunky twists now than medium or mini twistouts. Sorry for the look... I was not feeling too good. 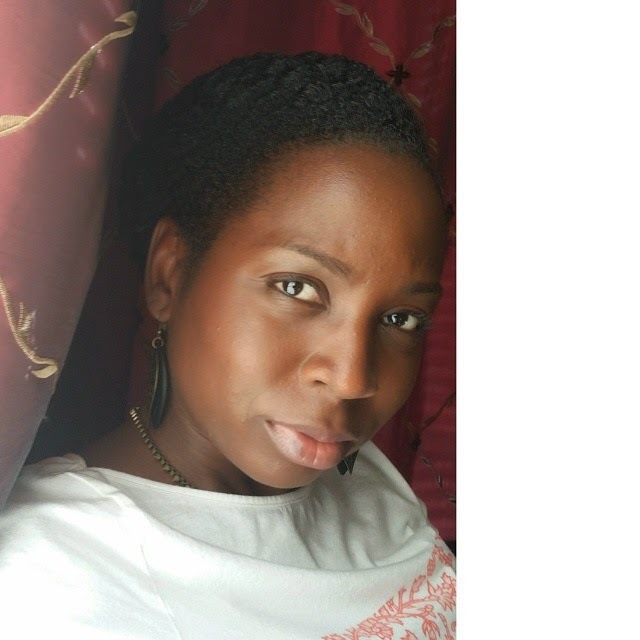 When you are feeling sick and not able to do your natural hair, what do you do? This weekend was Wash Day Weekend for the girls. However, we were extremely busy. I decided to do something that I have never done. I decided to just refresh their hair. 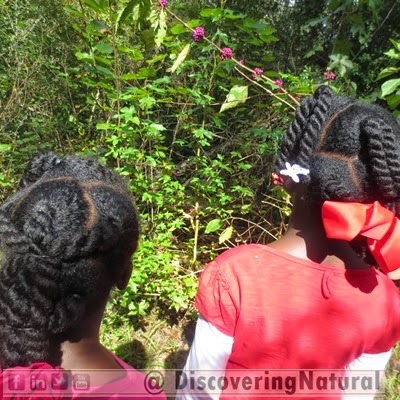 Before I decided to forego washing, I made sure to examine their scalp for any dirt, product buildup, or dandruff. I did not see any. One reason why we do not have product buildup is I do not go too heavy on products on their hair. 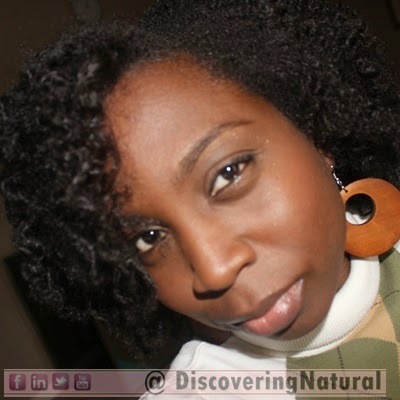 I also use more natural products that absorb well into their hair. The last reason is because I do not use products that attract dirt or dandruff. I started by spritzing each section with SheaMoisture Coconut & Hibiscus Kids Extra-Moisturizing Detangler instead of water. 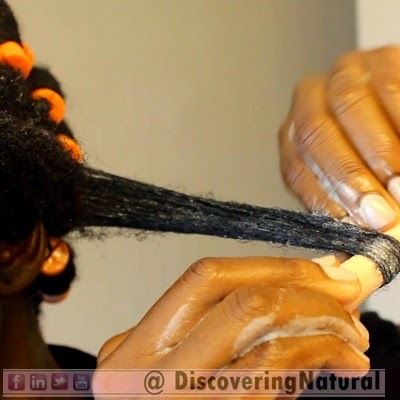 This helped to detangle their hair and even bring in more moisture. Next , I applied my oil mix to their scalp and massaged it. After this, I applied some SheaMoisture Coconut & Hibiscus Curl & Style Milk. 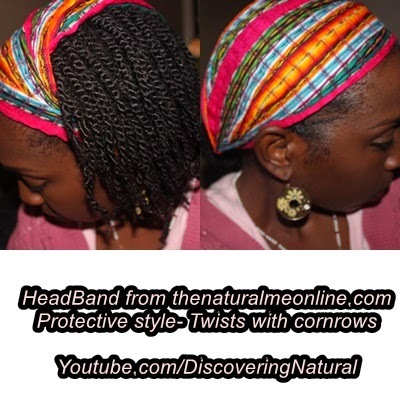 This helps to keep the frizz away, add moisture and promote shine. Then I applied a little more of my oil, this time to the hair and the ends of the hair to seal in the moisture. 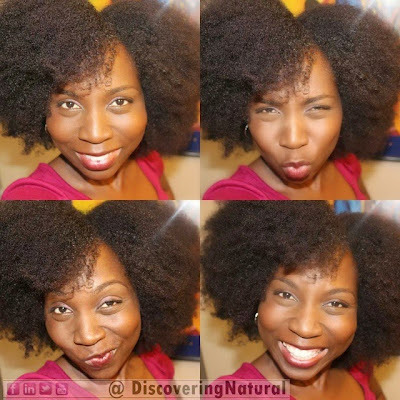 Before twisting, I used the SheaMoisture Jamaican Black Castor Oil Strengthen, Grow & Restore Styling Lotion as the styler to twist their hair. Some people find this drying, however, the opposite is the case for my hair and my daughters' hair. 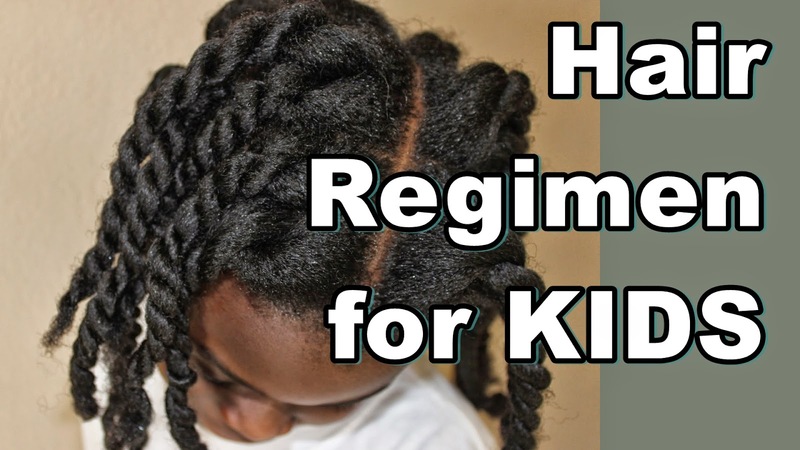 What do you do when you can't wash your child's hair? Recap of all the topics that were discussed in this series. If you have not watch this series, click here. 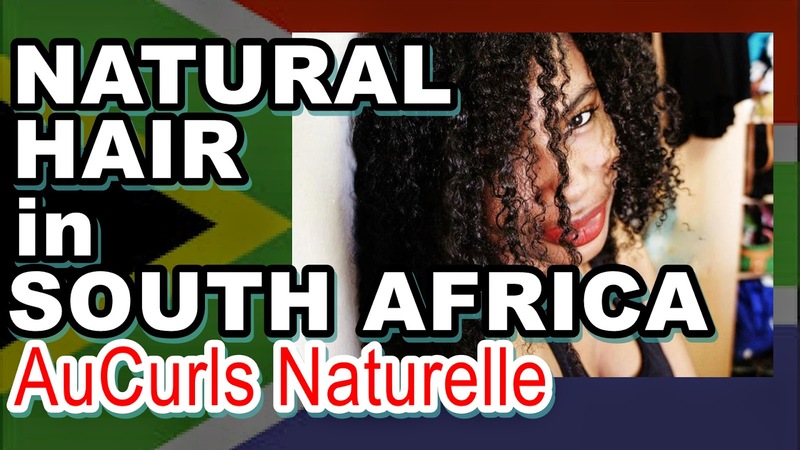 AuCurls Naturelle is a Naturalista living in South Africa. 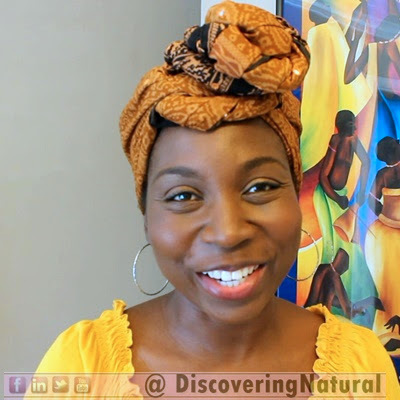 She shares with us her experience with Natural Hair while living in South Africa. 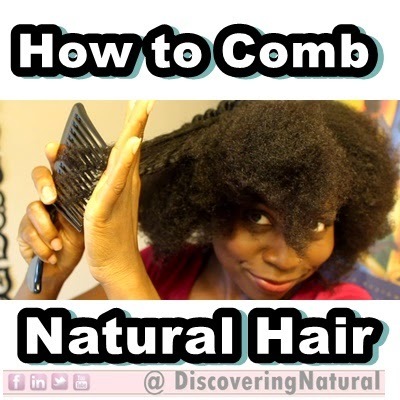 She also shares where to find products and other tips that will help people with Natural Hair. 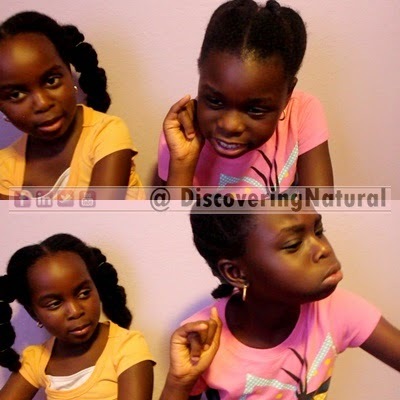 I caught the girls mimicking me, and decided to grab the camera. 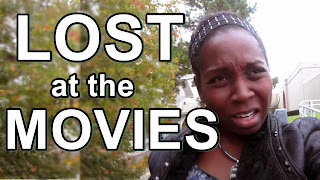 Watch it all in today's #Vlog on DNVlogsLife channel: WHAT MOMMY SAYS.